I give you… a homemade cookie. Simple, right? Umm…not for me. My mom gave me her old Kitchen Aid mixer a few years ago and for the longest time, I was too intimidated to use it. Just as I consider myself directionally challenged (very much so, eek) I think I also might be baking challenged. Even if I follow a recipe exactly, I always feel like something doesn’t look right, the color is off, maybe they didn’t bake as long as they needed to, perhaps I used too much salt or accidentally added too much flour? And so on and so on. But I’ve finally realized that the only way to become less baking challenged is to…bake more often. This past Saturday, I spent several hours in the kitchen with my mixer. Flour was all over the place, and I’d used just about every utensil and baking sheet I own. But the kitchen smelled wonderful, and the things coming out of the oven actually looked and tasted pretty good. Maybe they weren’t perfect, but I was pretty happy. 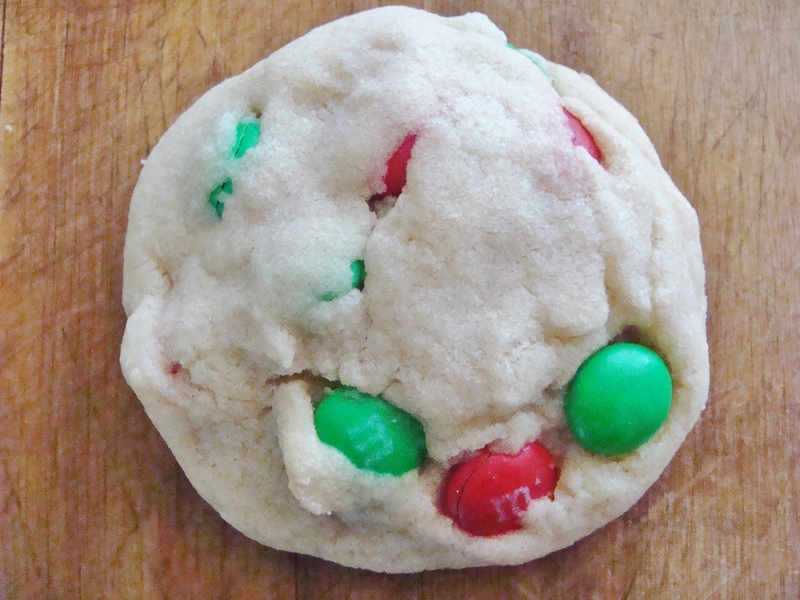 These M&M cookies were the first treat I attempted. I think this is a good “beginner” cookie. 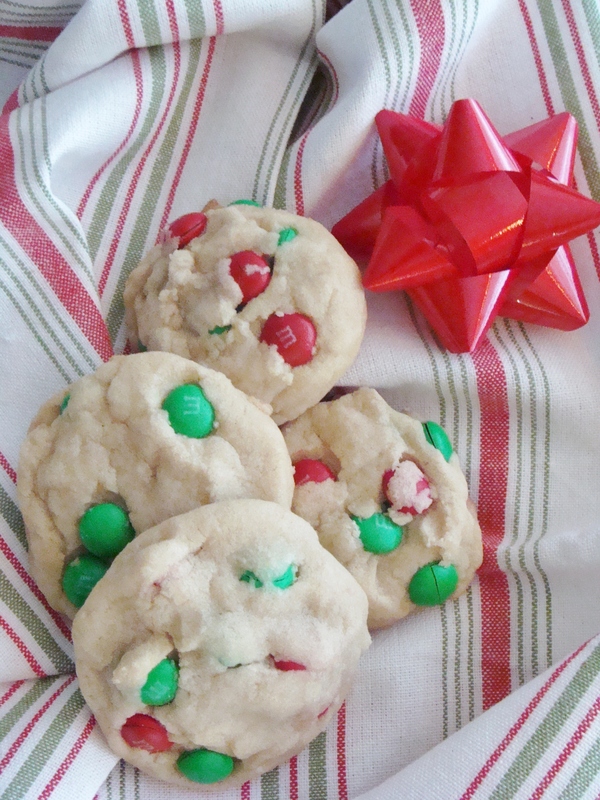 Simple but yummy—and festive! Measure out your ingredients before you begin. In a large bowl, combine the flour, cornstarch, baking soda, and salt. Mix well, then set aside. Use a mixer on medium speed to blend the softened butter, brown sugar, and granulated sugar, until it is creamed and light. This will take several minutes. Turn the mixer to a low speed and add the egg and the vanilla extract. Continue mixing until all ingredients are well blended. While the mixer continues on low, add your dry ingredients. I added one cup at a time. A dough will gradually form. Turn off the mixer, and stir in the M&Ms with your hands or a spatula. Put the dough in the refrigerator for 30 minutes, minimum. Preheat your oven to 350 degrees! Line 1 large or 2 small baking sheets with parchment paper! Here we go! Using your hands or a spoon, roll dough into small balls—each ball should be approximately one tablespoon of dough. Line balls on the baking sheet about 2 inches apart. Bake for 12 minutes, or until edges have just begun to turn golden. Remove from the oven. 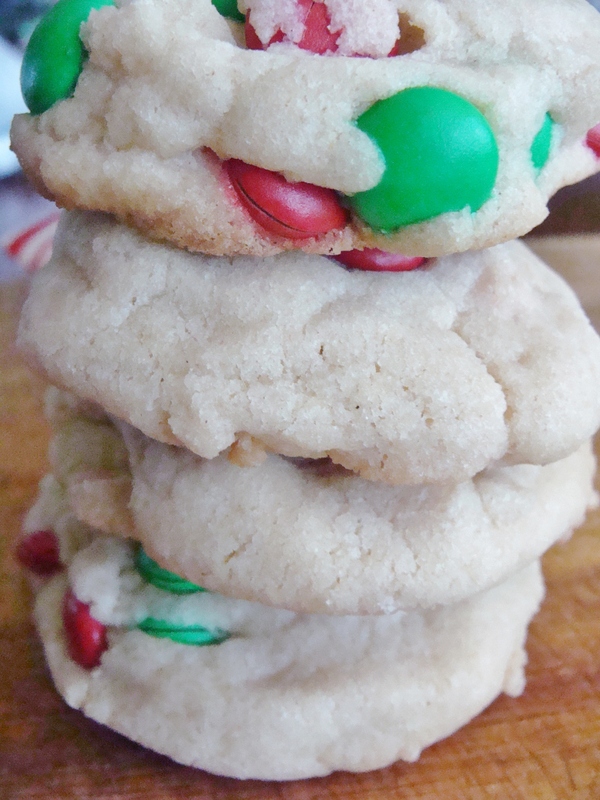 Let cookies cool on the baking sheet or on a wire rack. 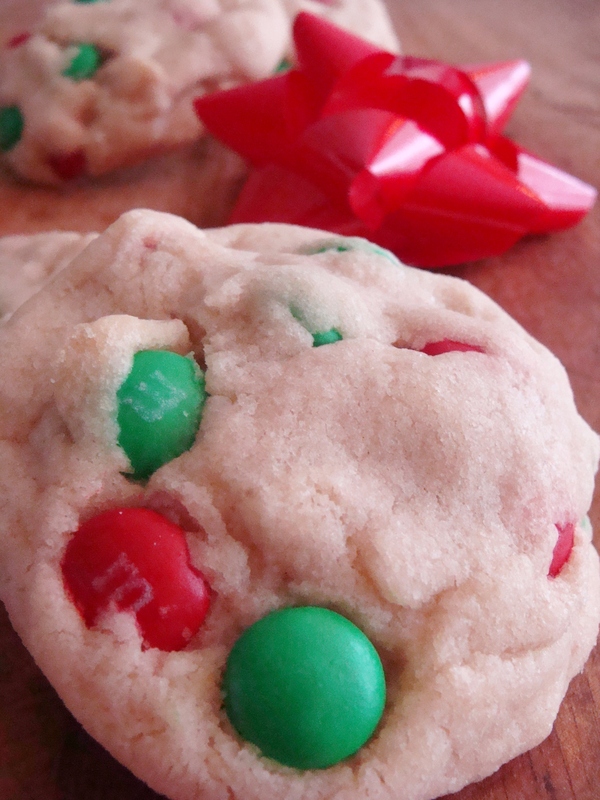 You are currently reading m&m cookies. at The Cheesy Kitchen.